Take advantage of our privileged rates with this hotel. Call us to get the deal. 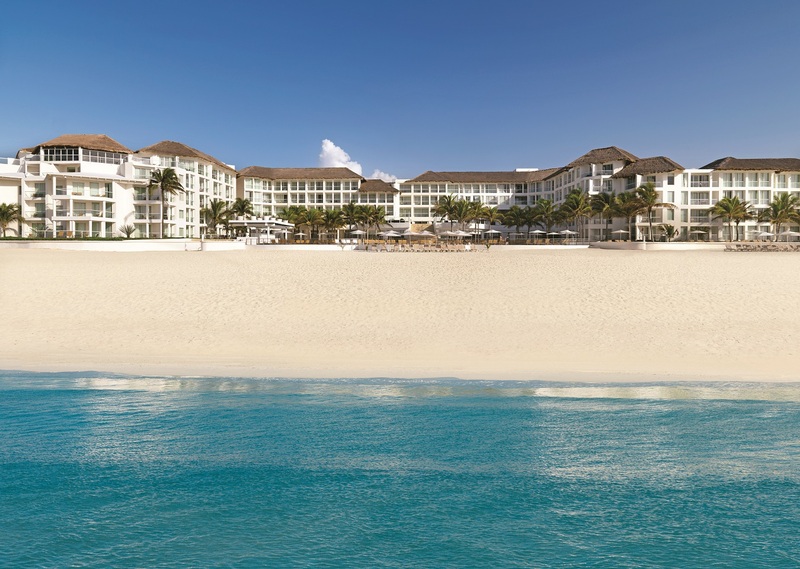 Discover luxury and be inspired by all that the beach side paradise of Playacar Palace has to offer. The all-inclusive, family-friendly resort is made up of spacious guest rooms and suites, most with amazing views of the water and Cozumel Island across the way. Step out on your balcony each day to watch the sunrise over the beautiful stretch of white sandy beach. Afterwards spend the day with the family lounging poolside, flying a kite on the beach, learning how to windsurf or exploring the nearby town of Playa del Carmen. The attentive staff at Playacar Palace is ready to make your stay a memorable one. The resort is located one hour from the Cancun International Airport. We can package with airfare from the US & Canada and will provide free private airport pick up on any stay of 5 nights or more. The majority of rooms at Playacar Palace include a balcony and views of the ocean. Deluxe in-room amenities include a whirlpool, 24-hour room service, wine, a stocked mini-bar, liquor dispenser, flat screen satellite television, bathrobe and slippers, air conditioning, WiFi, bathroom toiletries, hair care tools and a coffee maker. Upgrade to the concierge level and find a DVD player, iPod docking station, aromatherapy, a pillow menu, nightly treats with turndown service, exclusive concierge service and high-end amenities. For breakfast and lunch dine at the international buffet or choose a light snack or treat from the various bars and lounges. Mexican, Italian and Asian a la carte restaurants are offered as dinner choices. For those who are looking for a night out, Playa del Carmen is only minutes away and offers a diverse and exciting culinary scene. Three different lounges serve up highly-ranked wines and premium cocktails from 10 a.m. - 1 a.m. The resort requests guests comply with the dress codes stated for each restaurant. On top of being a fabulous resort, the Playacar Palace makes your experience even better by including resort credit. This credit can be used for room upgrades, select tours, golf, spa services, select wedding packages, romantic dinners and more. Stay 3 nights and receive $500, stay 4 nights and receive $750, stay 5-8 nights and receive $1500 and any stay from 9 -11 nights will receive $2000 resort credit. The credit is allocated per room and local taxes must be paid on the amount of credit used. Relax and recuperate at the Spa at Playacar Palace with one of several treatments for the body, mind and soul. Receive a massage inspired by ancient Mayan rituals or traditional Thai therapy, enjoy a detoxifying and exfoliating seaweed body wrap or have your makeup done by a professional for a special event or evening out. At the Connections Zone Kid’s Club children ages 4-12 can play soccer on the beach or a board game with new friends while under the watchful supervision of the trained staff. Nine different wedding packages are available with a host of locations to choose from at Playacar Palace. Whatever package you choose, the staff will work to ensure everything from the flowers to the food are exactly what you dreamed of for your special day. Contact us for more information. State-of-the-art meeting rooms, fine dining and an attentive and experienced staff are ready to help you plan your next business meeting or special event. Our group coordinator can help you with all the details, just get in touch. Planning a family reunion or group getaway, contact us for the best group rates and perks.